Pressed against the Atlantic shoreline, a short drive north of the port city of Agadir, lays a quaint fishing village known to the locals as Taghazout. With its back to the tumbling Atlas Mountains, this sleepy little village occupies a small promontory of land jutting into the sea, and has long been regarded as one of the hidden gems of the surfing world. 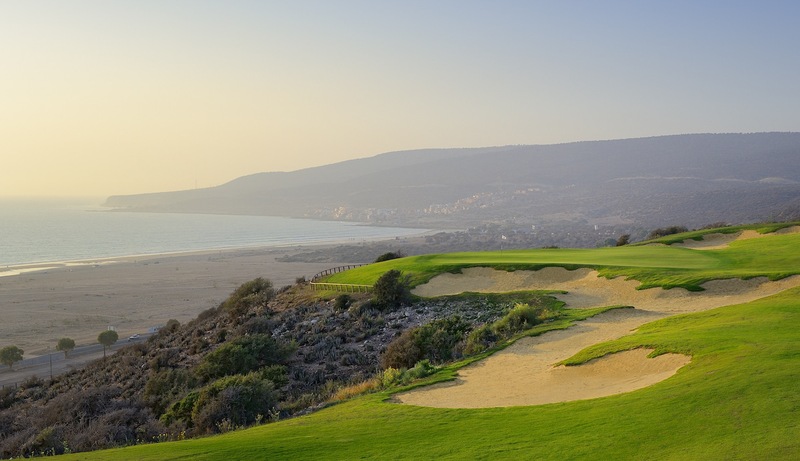 It’s now very much on the golfing map as well, thanks to an ambitious billion-dollar development known as Taghazout Bay. 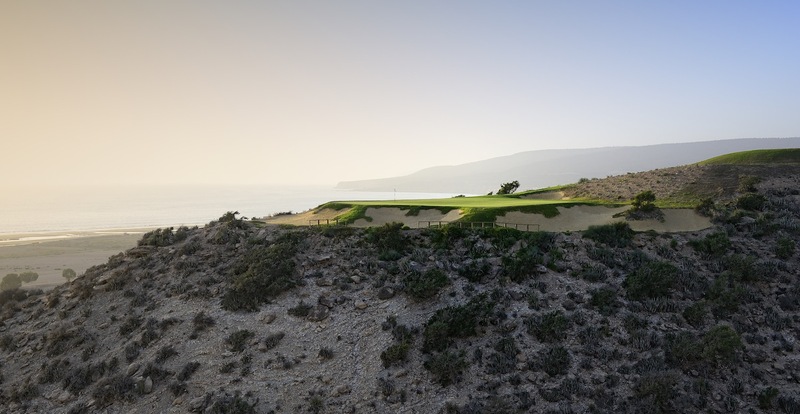 Taghazout Bay will eventually feature several hotels, several hundred villa sites and perhaps even a second or third golf course. For now there are just 18 holes, laid out by Kyle Phillips atop a dramatic bluff that looks down upon the town. Curiously named Tazegzout, the golf course flirts with a series of dramatic canyons and enjoys views beyond the beach and out to the Atlantic. It’s unlikely that future development will impact the course in a positive way, but the elevation should ensure the views remain and, thankfully, there is enough space within the golf corridors for the holes to play nicely into the future. Like the region around Taghazout, the development bears some resemblance to offerings in the Cabo San Lucas corridor of western Mexico. On course, there are shades of Querencia for the manner in which holes incorporate dusty ravines and work with the distinctive wilderness areas. The difference with Querencia is that the views are less distant here, and the ravines and ridges slightly more conducive to a sensible routing. 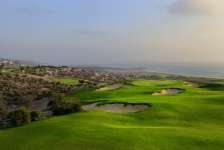 There are a few long transition areas, but mostly things flow smoothly from green to tee, and the landscaping and prominent Argan trees make for some very pleasant visuals. After initially heading eastward away from the ocean, Tazegzout follows a moderately interesting opening sequence with a series of strong holes to close out the front nine. The outlooks beyond the 7th and 9th greens are quite beautiful, and both approach shots from back in the fairways great fun if within range. The heroic second across a wooded ravine on the par five 9th is one of the real standouts on the course. Moving to the back nine, and the golf gets closer to the edge of the bluff and, like the front, is recommended for the dramatic downhill holes that best capture the full coastal panorama. The closing run is especially good, starting with the downhill 16th played over a dry creek bed toward a green wedged between a hillside and the ravine. The outlook is glorious here, as it is on the short 17th, an all-carry par three set directly across a deep, stony canyon. Standing on the tee all you have to aim at is a small putting green and a few surrounding bunkers. Sand actually seems a good miss; given anything else means an instant reload. Like the 17th, the par five finisher features terrific views over the old village and out to sea. While there are other solid holes at Tazegzout, the showstoppers at the end of each nine are likely enough to tempt those looking at a warm Moroccan escape to make the trip. Adding to the appeal is a decent set of greens, often bunkered heavily on one side but open on the other to lull golfers into bailing away from pins. 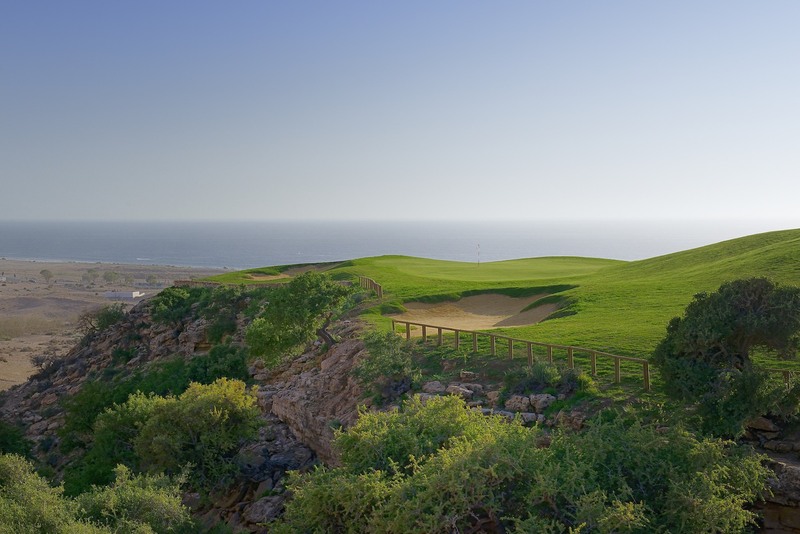 Although not quite the elite course that South Cape, Yas Links and Kingsbarns are, Tazegzout is fun nonetheless and a terrific option for those seeking a relaxing golf holiday with great weather, great food and warm African hospitality.